This Guerlain Multi-Perfecting Concealer is for correcting dark circles and imperfections for perfect, natural-looking skin. According to its label, this Guerlain concealer can also reduce signs of undereye puffines while hydrates the skin. 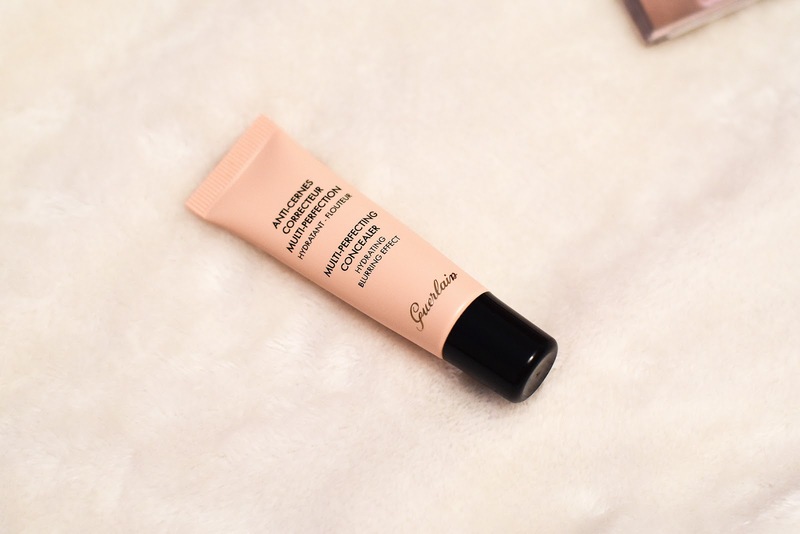 When I first started using this Guerlain Multi-Perfecting Concealer, I hated it, seriously __ it would start creasing within few minutes, after applying it and right before returning it, I found the way to make this concealer work perfectly under my eyes. First, I want to make sure my under eye area is nicely moisturized, so I apply my eye moisturizer at least 20 minutes earlier, then I apply this Guerlain concealer, after 2 minutes, when I see it starts creasing, I just gently spread the concealer under my eyes again, to make it look perfect, and then, I set it with my Burberry Fresh Glow Compact Foundation (you can read my review here: Burberry Fresh Glow Compact Foundation review) and it looks very natural alsmost all day (after 6-7 hours, it sarts creasing little bit, but not dramatically). I like that it comes in a little squeeze tube with a fine tip so I had great control over how much I squeeze out, that way I don't waste too much product and also, it's so hygienic. This Concealer comes in 6 different shades. The formula is very creamy and lightweight but it fully covers not only dark circles under my eyes but also, any kind of imperfections on my skin. This Guerlain Multi-Perfecting Concealer brightens the undereye area. It doesn't irritate my eyes wich is also very imprtant to me. So, even though it takes me a few extra minutes and some effort to make it work for my under-eye area, I still like this concealer. 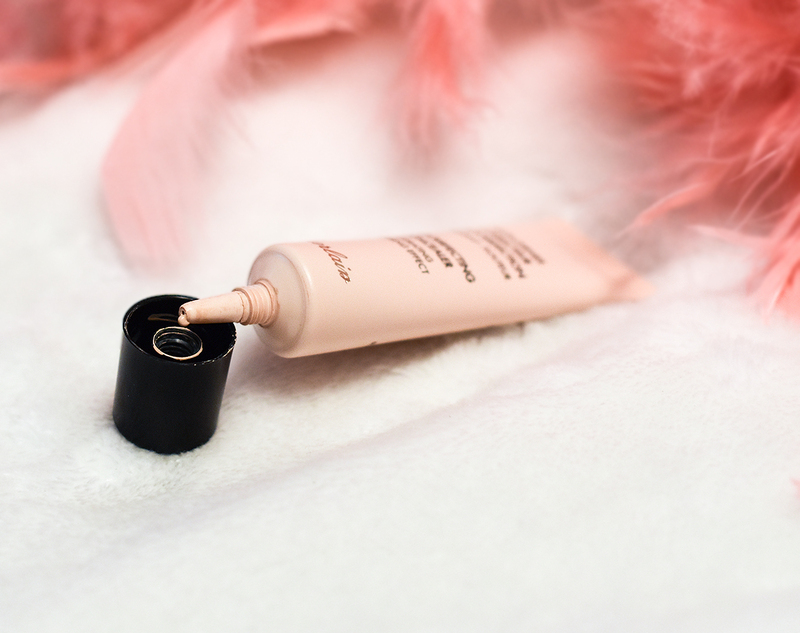 Have you tried this Guerlan Multi-Perfecting Concealer? Let me know in the comments below. Aw need to try this product! Sounds very good! Sounds like an amazing product! Cant wait to try it. I am always looking for a good concealer. Thanks for sharing this one. Need to check it out! I don't like any concealer that creases and takes a lot of work. Glad that you made it work but I'll pass on this. Sounds amazing!Need to try this product! Thanks for the review! This product is worth a try! I never tried the Guerlain concealer, butcoming in 6 different shades, it's great! I could find one for me - I sometimes find it difficult to find a matching color for me! I hope you have a very beautiful evening! Oh, I left a comment and it didn't appear... well, I said I like Guerllain, but didn't try this concealer. With 6 shades, that must be good; sometimes I find it difficult to find the perfect shade :) Hope you have a nice evening! Sounds so great! Thanks for the post! Here´s a product that I would love to try! Thanks for the review! I'll have to look into this concealer because I've yet to settle on one I truly love and this one sounds wonderful! Thanks for sharing, beauty, and I hope you're having a great week so far! I have not tried this yet, but I will, I really need a conceal that reduces puffiness as well, thanks for the tip on moisturizing before hand, I also do that, but your method is better! Very interesting post! I would like to try this concealer! I've actually never heard of this brand before. How do you like it for concealing your under eye dark circles? Great pictures, the concealer looks nice! I've never tried any Guerlain makeup products, only smelt their perfumes so will definitely have to check these out! I haven't tried it but I'm definitely interested in trying it! ooh really like their lipsticks, will def have to try this product! Wow that product sounds great! Never heard of this brand before seems good. Such great tips dear! I believe they would work with every concealer that is creasing! I want to try the new Guerlain makeup and I am also interested in trying the concealer now! Sounds really good, Need to give it a try ! Thanks for sharing ! I love Guerlain!! Such a lovely brand. Sounds like a good coverage for eyes. Haven't tried it but it sounds nice! I think this is a good one. Hope to try this soon. sounds good hun. will surely give it a go if i find it.